Cambridge Enterprise works in collaboration with University of Cambridge researchers to market and license available technologies ranging from the biosciences to engineering. We have completed more than 1,000 commercial agreements. We welcome contact from companies interested in licensing available technologies from the University of Cambridge, and work with companies on an individual basis to identify specific areas of interest. Image: The chromosome screening technology developed by University of Cambridge spin-out BlueGnome has shown to increase in vitro fertilisation (IVF) success rates by 65% over the current methods. The advent of wireless VR is pushing the limits of rendering quality and framerate over a more limited cordless connection. By optimising the frame delivery method and rendering time using Temporal Resolution Multiplexing (TRM), VR component manufacturers can bridge the gap between quality and transmission rates required for a truly wireless virtual experience. By studying the human visual system and its limitations, Dr Rafal Mantiuk and Gyorgy Denes from the Department of Computer Science, University of Cambridge have developed an optimised VR rendering process that minimises rendering time and transmission bandwidth whilst maintaining high visual quality. Prof. Sir Shankar Balasubramanian and his team have developed a novel method for single nucleotide resolution mapping of AP sites (including endogenous sites) in genomic DNA. The method uses a novel probe, with selectivity >200 fold relative to 5-fU and >2000 fold relative to 5-fC for use in epigenetics research. A team from the University of Cambridge has developed a novel method for generating human-size tubular tissue scaffolds, which have the potential to be used as a replacement for a range of diseased or damaged conduits in the human body. The scaffolds are made of biocompatible polymeric hydrogel materials, which support cell/organoid growth, whilst having sufficient mechanical strength for surgical implantation and offering the potential for luminal patterning. The scaffolds have been tested in-vivo. The team is seeking a commercial partner for collaboration and development of this technology. Structural colouration is responsible for many of the most brilliant colours found in nature; from iridescent beetles and metallic butterflies to the dazzling tail-feathers of the peacock. Inspired by such natural examples, Dr Silvia Vignolini and her team in the Department of Chemistry, University of Cambridge, have developed a scalable route to structurally-coloured synthetic polymer microparticles. Such pigments could replace existing “interference & effects” pigments, leading to a new generation of colourant products with applications ranging from automotive or architectural paints to anti-counterfeiting or responsive colourants. The team is now keen to collaborate with partners to validate this exciting new material. Robust & scalable emulsion-based fabrication. Very wide range of accessible colours, with good colour purity. Stable in a broad range of formulations. Diverse range of potential applications in paints, inks and coatings, with a choice of iridescent, pearlescent or matte appearance. Apollo Therapeutics, working closely with Prof. Randall Johnson and his team in the Department of Physiology, Development & Neuroscience at the University of Cambridge have developed a small molecule that promotes memory T cell populations – octyl S-2-hydroxyglutarate – and have demonstrated applicability to human CAR-T systems. Dr Silvia Vignolini and her team in the Department of Chemistry, University of Cambridge and her collaborators at the University of Aalto, have developed a process for producing bright white (highly scattering) films with nano-fibrillated cellulose. This is expected to enable a new generation of pigment-free, biodegradable, white material as a potential replacement for titanium dioxide and zinc oxide. Triboelectric generators are based on the static electric charge created when two dissimilar materials come into contact, and can be used to harvest energy from mechanical vibrations. Researchers at the Department of Materials Science & Metallurgy have developed a triboelectric generator using self-poled Nylon-11 nanowires. The triboelectric generator provides more efficient energy harvesting than other energy harvesting systems, while matching the power output required by many sensors and devices for wireless sensor networks and wearable electronics. The team is now keen to collaborate with partners to develop applications for this technology. The use of inks incorporating graphene and other 2D materials has been suggested as a way to improve the existing limited approaches to wearable electronics. Poor adhesion of graphene ink to fabric substrates has so far restricted the performance and durability that could be achieved. Researchers in the Department of Engineering have developed techniques to modify and prepare the substrates, enabling better quality deposition of inks made from graphene and related materials, and resulting in better connectivity and higher performance of the final component. A spin-out company Textile Two Dimensional Ltd is now further improving the technology and is looking for commercial partners interested in adding functionality to their textile product. Researchers in the Department of Engineering, University of Cambridge, have developed a new material for energy storage device electrodes using activated carbon and reduced graphene oxide. The team is now keen to license the technology to a suitable partner for development. Possible applications include automotive industry and hybrid vehicles, smartphones, and energy harvesting. Researchers in the Department of Engineering and the Department of Chemical Engineering, University of Cambridge, have developed a new catalyst and process for the generation of ethylene oxide from ethene which removes the need for purified air, showing a potential new route to more efficient and safer ethylene oxide production. The team is now keen to find suitable partners for upscaling and development. Researchers at the Department of Materials Science and Metallurgy, University of Cambridge have developed a new polymeric network material that enables the production of a flexible supercapacitor with high specific capacitance and cycling stability. Possible applications include supercapacitors for wearable and biomedical applications, and soft robotics. The team is now keen to collaborate with suitable partners for the development of the technology. Researchers in the Department of Engineering have developed a new type of high speed phase modulator based on Liquid Crystal on Silicon (LCoS) technology. This is expected to enable faster optical switches for telecoms applications, higher quality holographic displays and enhanced live cell microscopy. Works with off the shelf liquid crystal, and may be optimised using a proprietary liquid crystal mixtureThe team is now keen to collaborate with suitable partners for development of the technology. It is challenging to fabricate electrodes on soft and stretchable substrates such as polymers and elastomers using existing techniques developed for silicon, glass or foil substrates (on which electrodes are more commonly fabricated). This is due to the significantly different chemical and physical properties between these substrates. These differences generally result in: higher densities of defects, including cracks in the substrate and/or in the electrodes; limited resolutions when using conventional electrode patterning methods; poor adhesion of electrode materials to the substrate; and low surface areas of the electrodes, which can be particularly problematic in the context of biosensors and other wearable or implantable bio-electronic devices. Researchers at the Centre for Innovative Manufacturing in Large-Area Electronics (CIMLAE), University of Cambridge have developed and patented a manufacturing process which address these issues and have produced highly stretchable, high-resolution electronic devices. They are now looking for opportunities to commercially develop and license their technology. The Brief Early Skills & Support Index (BESSI) questionnaire has been developed by Prof Claire Hughes and her colleagues at the University of Cambridge and validated for use with reception- and nursery-aged children. The BESSI questionnaire is a promising teacher/nursery staff screening tool that is suitable for children aged 2.5 to 5.5 and provides a broader perspective upon school readiness than previous measures. Current research aims to determine whether the BESSI is appropriate for use in ethnically diverse areas. Hughes, C., Daly, I., Foley, S., White, N., & Devine, R. T. (2015). Brit J Educ Psychol 85, 332-356. We are happy for teachers, researchers and other professionals working with nursery- and reception-aged children to use the BESSI questionnaire for non-commercial academic research by tertiary educational institutions and would appreciate hearing about this work. Copies of the BESSI questionnaire can be downloaded here along with a coding manual, which provides information about using and scoring the questionnaire, subject to acceptance of the licence terms. For all other enquiries for use of the BESSI questionnaire, including commercial use or use for the purpose of determining school readiness of children relating to school admittance, please get in touch with us to discuss this further. Professor Oren A. Scherman and his team in the Melville Laboratory for Polymer Synthesis, Department of Chemistry, University of Cambridge, have developed a new highly tough and stretchable polymer hydrogel material capable of self healing and exhibiting ionic conductivity, with unique flexibility in its molecular design. This could potentially enable a new generation of flexible electronics and innovative materials for biomedical applications. The team is now keen to discuss the potential for this material with interested commercial parties. Butanol is commercially interesting as a direct gasoline replacement and substitute because it overcomes many of the limitations of the current gasoline substitutes, such as ethanol, due to its immiscibility with water and similar energy density to gasoline. Like ethanol, there is much commercial interest in producing butanol from fermentation of biomass, either directly or via crude syngas production. However, the recovery of butanol from the fermentation broth using classical techniques such as distillation is very energy intensive. Researchers in the Department of Chemical Engineering and Biotechnology have devised a method of separating butanol from fermentation broths that provides an energy reduction of over 90% compared to conventional distillation technologies. Based on the research to date, it looks like this energy-efficient method has the potential to be implemented as part of the retrofitting process to modify existing ethanol fermentation plants for butanol production. The technology is protected by a UK priority patent application and we’re now looking for partners to help us develop the technology. Please contact us if you’d like to discuss further. Structural colouration is responsible for many brilliant iridescent colours found in plants. Dr Silvia Vignolini and her team in the Department of Chemistry have developed a process for producing nanocrystalline cellulose microparticles with structural colour. This is expected to enable a new generation of pigment-free, biodegradable, natural coloured products. Typical commercially available cooling equipment such as refrigerators or air conditioning systems use liquid-vapour-phase (LVP) cycles to achieve the temperature reduction. However such devices are known to suffer from environmental issues including noise and the risk of leakage of volatile hydrocarbons. Solid state refrigerants have been explored for many years but have not managed to achieve comparable performance to the currently available systems. Researchers at the Department of Materials Science & Metallurgy at the University of Cambridge, together with colleagues at the Universitat de Barcelona and the Universitat Politecnica de Catalunya, have now identified a new class of solid state compounds which can provide similar cooling under equivalent pressure changes to those used in conventional LVP cycles, while operating around room temperature and using inexpensive raw materials. The technology is protected by a PCT patent application and we’re now looking for partners to help us explore the different areas where this might be useful. Please contact us if you’d like to discuss further. A new method for formulating functional inks incorporating a wide range of commercially available nano platelets or nano particles has been demonstrated. This enables the production of low cost, environmentally friendly, room temperature processable inks, ink additives and composites based on materials such as graphene, MoS2 or h-BN, which in turn can be tailored to achieve enhanced electrical, thermal or physical properties according to the material and application. GreenSwirl is a MATLAB program for calculating Green’s function for swirling flow in an infinite duct. 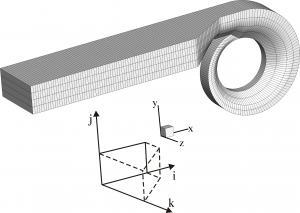 The duct can have either hard walls or an acoustic lining, modeled using the Ingard-Myers boundary condition. The mean flow is a function of only radial position, can have shear and swirling components, and can be input as functions or data points. The programme calculates eigenmodes and the Green’s function of the linearised Euler equations. The programme calculates these either numerically (Basic version) or numerically and analytically assuming the frequency is large (Advanced version). GreenSwirl has applications to the beamforming technique and can be used in the aeroacoustics industry to model aeroengine noise. Mathews, J., Peake, N. and Bianchi, S. (May 2016). 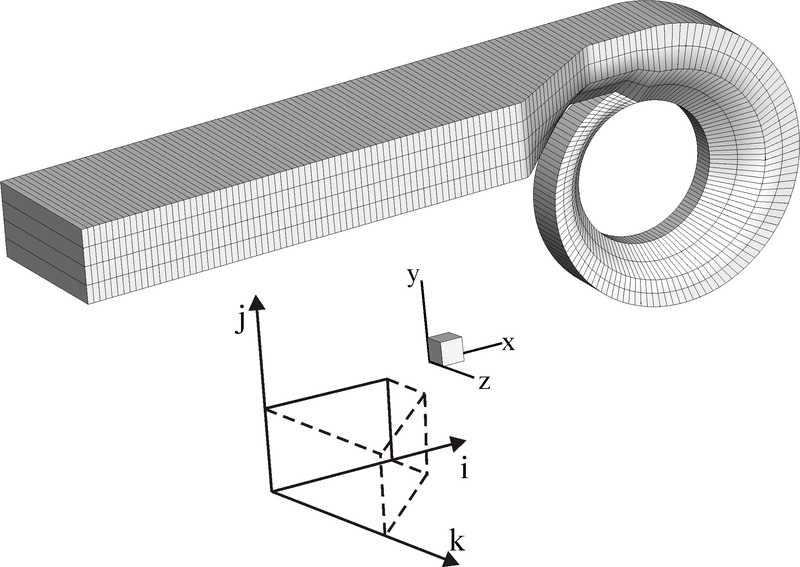 Asymptotic and numerical Green’s function in a lined duct with realistic shear and swirl. 22nd AIAA/CEAS Conference Paper (Lyon). Mathews, J., and Peake. N., Journal of Sound and Vibration, Journal of Sound and Vibration, 2017, 395, 294-316. Licences to the software for both academic and commercial users are available for purchase by contacting us at the link below. The Q3PULSE software is used for predicting unsteady turbocharger turbine performance, particularly under pulsating flow conditions. 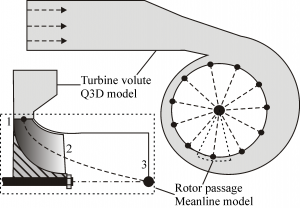 It builds a low order model of a turbine which combines a quasi-3D model for a volute and multiple meanline models for a rotor. This model strikes a good balance between accuracy and complexity. 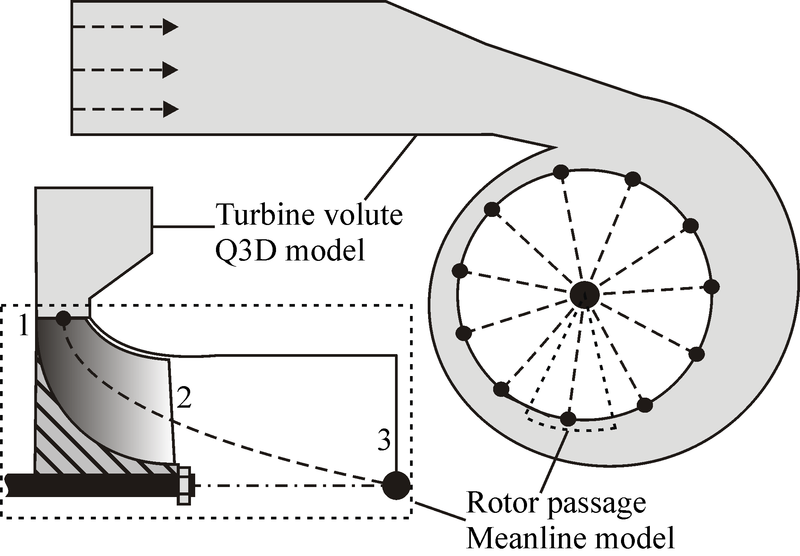 It provides a quick, robust and accurate prediction of unsteady turbine performance under pulsating flows. It is therefore a good research and design tool which allows turbine designers to accommodate the pulsating flow effect into the preliminary turbine design. The software is compatible with Linux and Windows. Academic and commercial licensing is available; please get in contact for more information. J. Eng. Gas Turbines Power, 2016, 138(7), 072607. Professor Clare Grey and her team at the Department of Chemistry have developed a novel technology for aprotic Lithium-Air (Li-Air) batteries. This ground-breaking technology uses a spongy graphene cathode and new chemistry based on the formation of LiOH. The resulting battery exhibits extremely low over-potential (<0.2 V), leading to efficiency greater than 90% and fewer side-reactions. The battery can be charged and recharged for more than 1000 cycles. The battery is also stable with respect to moisture.